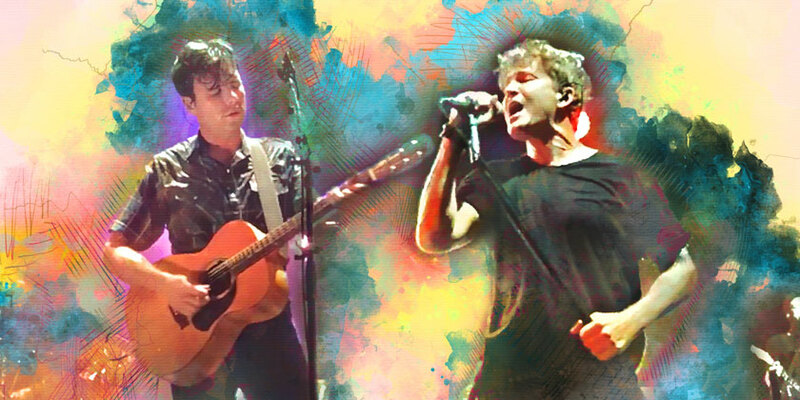 Third Eye Blind and Jimmy Eat World are gearing up to hit the road together on a joint tour that’s set to bring both ‘90s rock bands to a stage near you this summer! The 35-date “Summer Gods Tour” launches June 14 at Los Angeles' Greek Theater before setting out to hit cities including Denver, Indianapolis, Boston, and Nashville. The tour will stretch all the way through the summer to August, coming to a close at the FivePoint Amphitheater in Irvine, CA on August 3. Indie-rock outfit Ra Ra Riot is also set to share the stage as a supporting act for the entirety of the tour. Who Is Third Eye Blind? Who Is Jimmy Eat World? Established in Mesa, Arizona in 1993, Jimmy Eat World emerged as a trailblazing force in the mid- ‘90s emocore scene. The band enjoyed moderate success through the release of their first two albums, ultimately gaining more traction with the release of their third, Clarity, in 1999. Clarity became a landmark record of the emo genre; however, it was the album’s follow up two years later that would serve as their breakthrough into the mainstream. Bleed American hit shelves in 2001, instantly launching the band to commercial success on the strength of their hit single “The Middle,” which became a top 5 hit on the Billboard 200 and hit the number one spot on the Alternative Songs chart. Futures followed in 2004, featuring yet another number one hit with “Pain.” Both Bleed American and Futures earned platinum and gold certifications from the RIAA respectively. Despite shifting from their emo roots and journeying down the alt-rock route throughout the years, Jimmy Eat World has yet to shed their emo label. The band has maintained their status as torch-bearers for a generation of emocore bands they helped spawn, remaining in a league of their own for over 25 years. 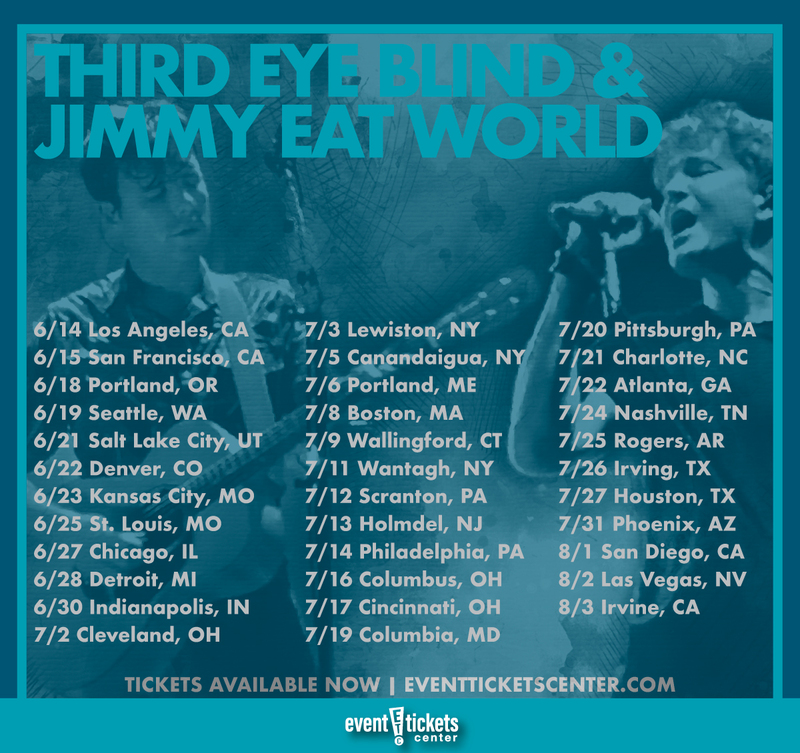 Where are Third Eye Blind and Jimmy Eat World playing near me?